Here’s the first installment of the trees from Mirai. I’m starting with Pines. All the natives and some grafted species as well. Some top end deadwood to be seen. All shapes, all sizes, raw and refined, an epic collection of trees and pushing the limits of what species can be utilised as bonsai. Mirai. What can I say that can conjure up just what this place is like to visit? Some single words spring to mind, inspirational, awesome, mind-blowing, all over used words that truly fit this place but none actually can sum up my visit to Mirai. I have so many photos I’m going to split them up over multiple posts, but they don’t even start to express this place. I have spoken to people who’ve there before I made this trip and watched them struggle with the same lack of words. Simply put, just go there yourself. I arrived late on in the afternoon with my head still buzzing from Michael Hagedorn’s trees but also thinking about how I’d be received by Team Mirai. It is a team for sure especially after the launch of Mirai Live back in March. You watch the streams, hear the voices, hear mention of names, and catch the odd glimpse of someone other than Ryan. But they’re there working hard in the background. I was about to land in on them, with my accent and interrupt their day. I needn’t have worried of course. Like every other stop on the Bonsai road, we were both warmly welcomed. First I heard that famous voice from the streams, Kendall was there somewhere. Little did I know that it was her saying goodbye and walking to her car in the opposite direction. Are we destined to never meet Kendall. She wasn’t there the next day either. Where were you Kendall? 🙂 Joking aside, I was gutted I missed getting to see you. As I walked into the garden I saw two things. Instant impact of stunning bonsai was the first and second was Troy finishing off his day’s work. Some people you click with instantly in bonsai. 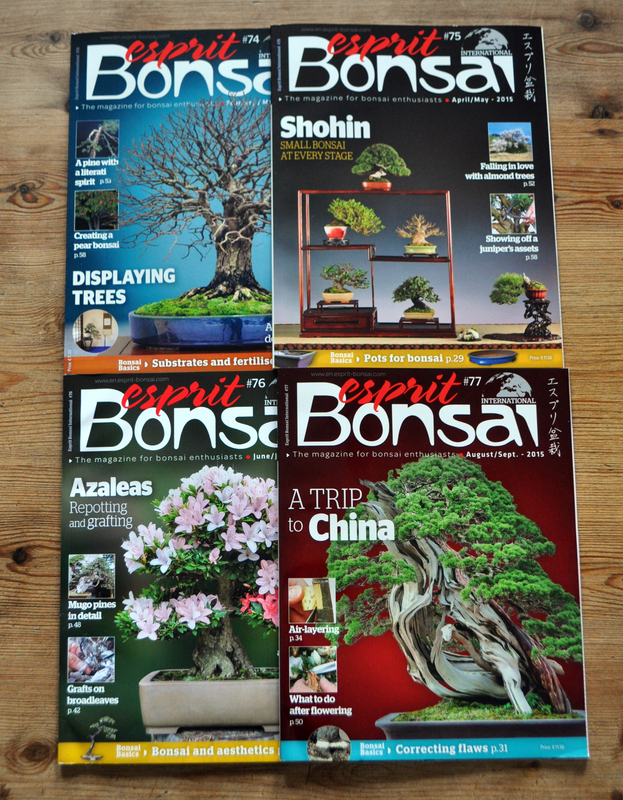 We are all over the world, living in different countries, doing different things, but bonsai attracts, in the main, quality people but a few of these are kindred . Troy was one of these people. He’d obviously been warned that the Irish were coming! He knew who I was. I got to spend a little time with him later on talking bonsai, and about our trip and only wish he’d been about the following day to get to know him better. Every time he went to go home we ended up chatting on. Great to meet you Troy. Another Team member was Lime, and I’m gutted that I didn’t get a photo of us mate. What a story this guy has, but it’s his to tell. We had a lot in common and bonsai to connect us. A Portland Timbers fan as well, so we got to talk Football. Yes football, not soccer! I look forward to your Ireland trip in the near future my friend. I have suggested that a ‘meet the team’ portion be added to Mirai Live, I think they were already headed that way but hopefully this post, more wordy than usual, fills in a few gaps for those of you who are Super Tuesday fans. When Ryan returned we were all invited out for a meal in St Helens in a great spot called CCB, Columbia County Brewing. Food was amazing and the craic was mighty, if they knew what craic was of course. A great way to finish off a busy day. The plan was for me to spend time at Mirai the following day. Ryan had a Pines 1 study group there so I got to spend the day wandering the garden. I have so many photos it’s obscene. As a result I’m splitting them up into a few posts. Below is the gallery of the The Place and the people of Mirai. I’ll make a start on the trees in the next post. My time at Mirai was special, both Allison and I were made feel at home and part of the team. We capped it all off with a trip into Portland with Ryan on the second night for a great meal at Jakes. Portland is my kind of City, I’ll be back. Too many friends, not enough time.